Generate leads and close deals with a new trailer website theme from NetSource Media. All of our websites are responsive, optimized for best SEO, and editable 24/7, from anywhere with internet access. Our experienced team of trusted professionals has been serving dealers since 1995. With over 20 Graphic Designers, Developers, IT Tech Support, Customer Service, and Account Representatives all under one roof, NetSource is the services team you can rely on for exceptional service and online results. Boost Leads with Classified Listings on TrailersUSA.com! TrailersUSA.com is a fantastic resource for dealers who want to increase sales leads and trailer manufacturers who want to promote their models. NetSource Media has been promoting and managing online classifieds for dealers since 1995. Don't miss out on this added value for your sales team. 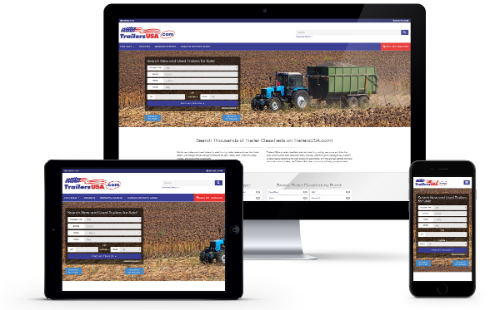 Request a Free Trailer Dealer Website Demo!